Honest Question: Do you like navigating on paperless ships ? I am not usually a betting man, but I’d wager that you love sailing on paperless ships. It makes the navigation so much easier. More than navigation, it makes the tedious process of correction of paper charts less cumbersome. 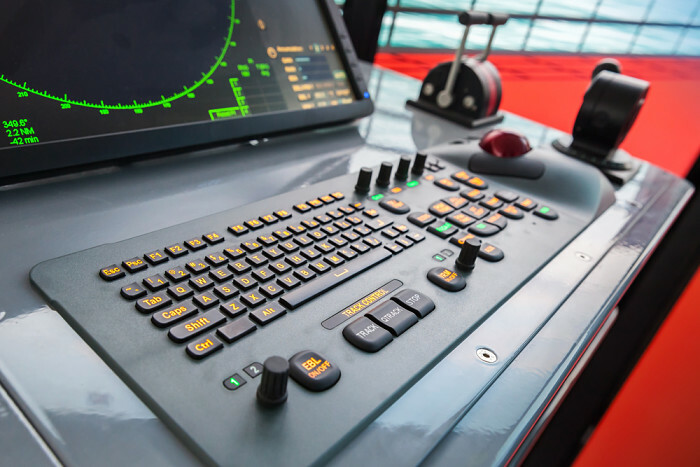 I am big fan of ECDIS and I believe that our Industry need to expediate in producing more advanced navigation data. By more advanced data I mean, where all the correction to the ENCs would be possible with just one click. The navigators will then concentrate more on something that they are suppose to do: NAVIGATION. But while we wait for the advanced data amagement for ECDIS, we must know the present ECDIS procedures. Right now the process involves more than few clicks,instead it is a process. I have earlier written about importing ENCs for JRC ECDIS. And I wanted to cover more makes of the ECDIS. 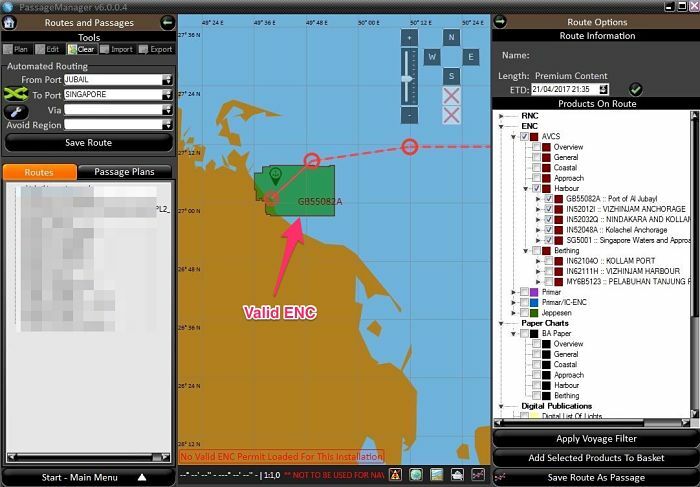 So in this post I will cover the process of ordering ENCs using Chartco and then installing it on Furuno ECDIS. The first step is to shortlist the ENCs that you would require for your next voyage. Let us assume that right now the ship is at Jubail. The next voyage is to Singapore. And we need to check & order the ENCs for this voyage. For this open the Chartco, passage manager and click on the Start-Main menu. Choose “Routes and Passages” options from the menu items. Input the “From” and “To” ports and click on “Calculate Route/Distance”. 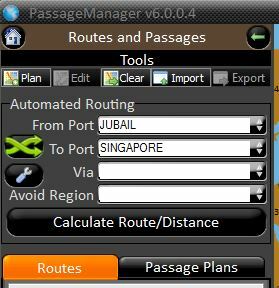 This would give you the route for the voyage (in our example route from Jubail to Singapore). Now from the right panel, tick the ENCs starting with “Berthing”, then “Harbour” and then moving upwards. If you select all the ENCs together or if you start from “overview” and move downwards, it would be difficult to identify large scale ENCs. In this case there would be chances of missing to order ENCs. Now say I select “Berthing” and then “Harbour”. Now I can see ENCs which are on my voyage. The cells (ENCs) which we already have, will be shaded as green. So we do not need to order these ENCs. The cells (ENCs) which we do not have will be shaded red and these are the one that we need to order. 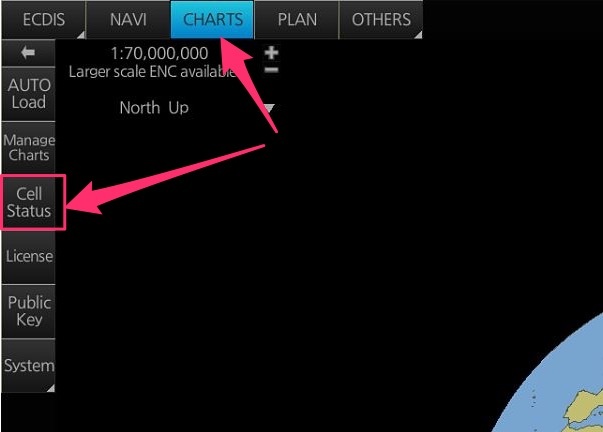 Once we have identified the ENCs that are on our voyage and shaded red, select the ENCs by single click on it. The selcted ENC will have the yellow border. Follow same procedure with all th ENCs you require by clicking on “Approach”, “Coastal”, “General” and “Overview” ENCs. Once you have added all the required ENCs to the basket, the summary of ENCs added to the basket will show at the bottom of the screen. 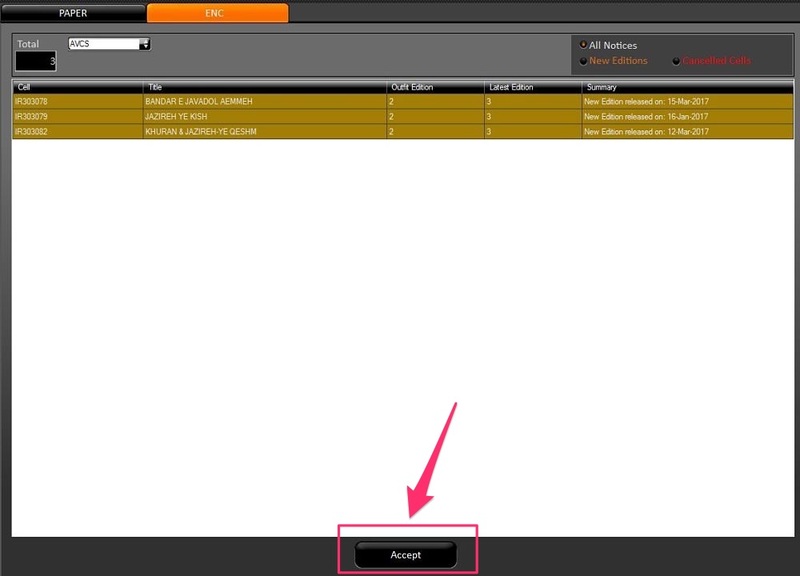 Select all the ENCs in the basket and click on “Create order”. This will open up a pop up. You can either click on “Export” or just “Ok”. 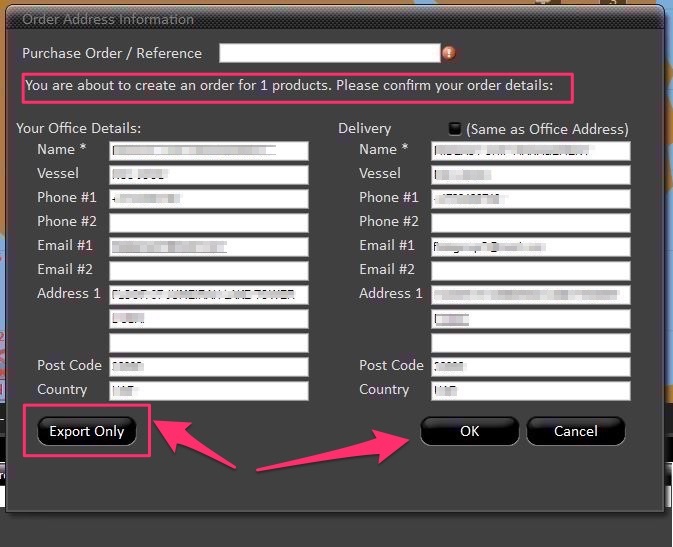 Clicking on export will save the order file at a location choosen by you. Clicking on “Ok” will also save the order in chartco. Let us say we click on Export. It will prompt us for a location to save the files. We can save these files in a folder on desktop. We have now created an order or ENCs from the chartco. Once you have selected the ENCs required for your voyage, you can request those ENCs from your ENC provider. To do that, just email the order files saved from the Chartco. Follow your company procedures of sending these file. Let us say you can send request the ENCs directly from the supplier. 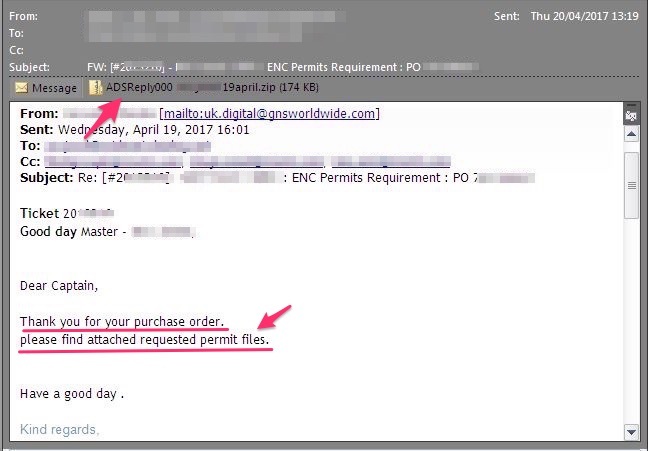 Then send a request for ENCs to the supplier by email and the request files as attachment. If it is not weekend, you should receive the email containing ENC permit for the requested ENCs. Now you have received what you wanted. The permit file for the required ENCs. The next step is to import this into your Furuno ecdis. To do that first extract the zip file received from the ENC provider. 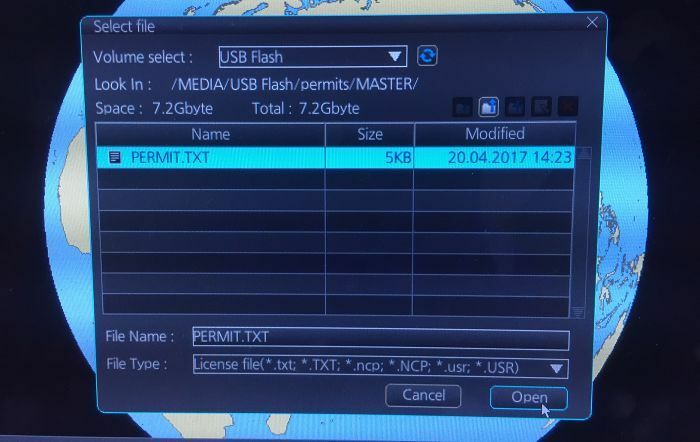 Copy the permit folder into a USB flash drive. 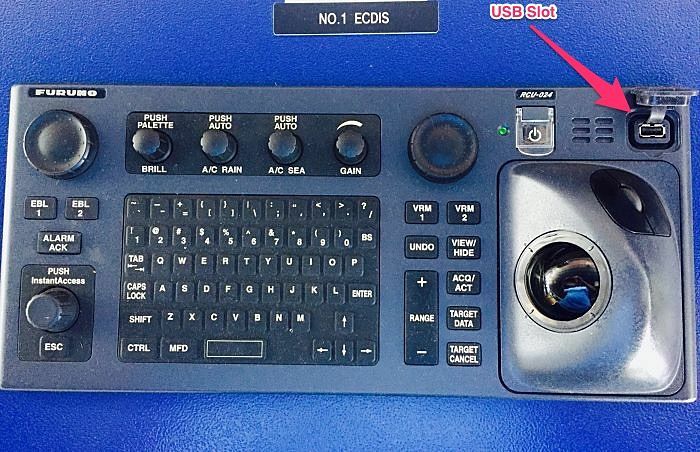 Go to ECDIS and insert the USB flash drive in the ECDIS USB slot. Now on Furuno ECDIS, click the “Chart” tab. 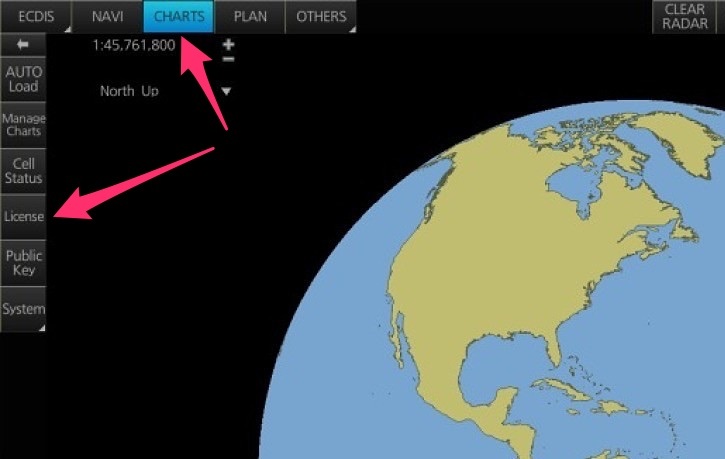 Now click on the “Chart” tab. Then go to “Licences” on the left menu bar. 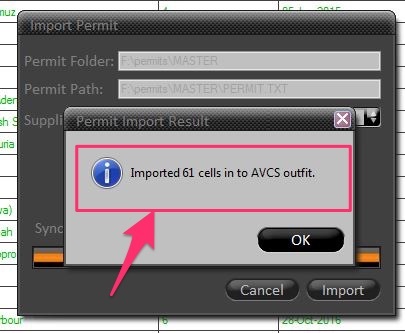 This will open the License status of all the ENCs installed in the ECDIS. Choose the path to the USB and then to the “permit.txt” file. This would install the ENC permit into the ECDIS. You have now installed the ENCs into your ECDIS successfully. But that alone is not enough. You need to follow the next steps too. We have loaded new ENCs in the ECDIS. We need to update the new ENCs in the Chartco inventory. This is important as chartco inventory of ENCs need to match with actual ENCs we have in the ECDIS. To do that, insert the same USB drive containing permit file in the chartco computer. Go to ENC outfit through Home -> ENC -> Outfit. 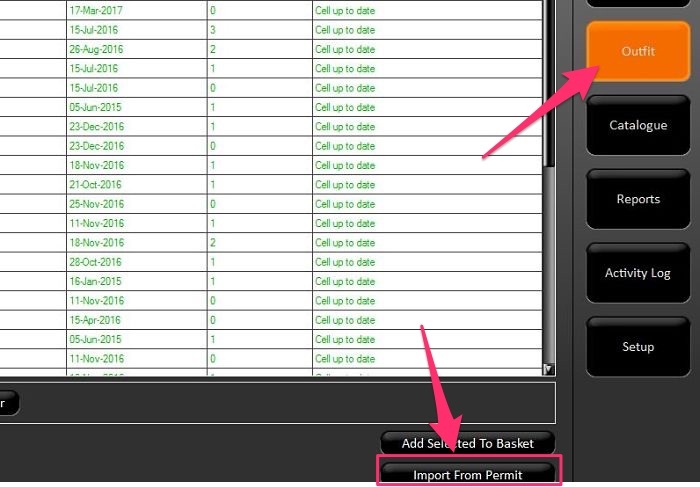 To update the permits in the chartco, click on the “Import from permit” tab at the bottom right of the screen. 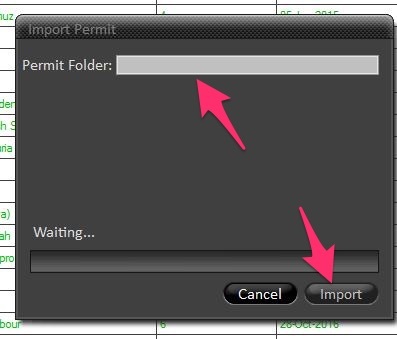 Specify the permit folder (in the USB drive) and import the file into the chartco. This will import the ENCs into the chartco and the inventory of ENCs is updated in the chartco. Now that we have installed the new ENCs into your Furuno ECDIS, we need to check the correction status of the cells. For that while being in the “Chart” mode, click on the “Cell Status” option on left menu bar. This will show the status of each cells. 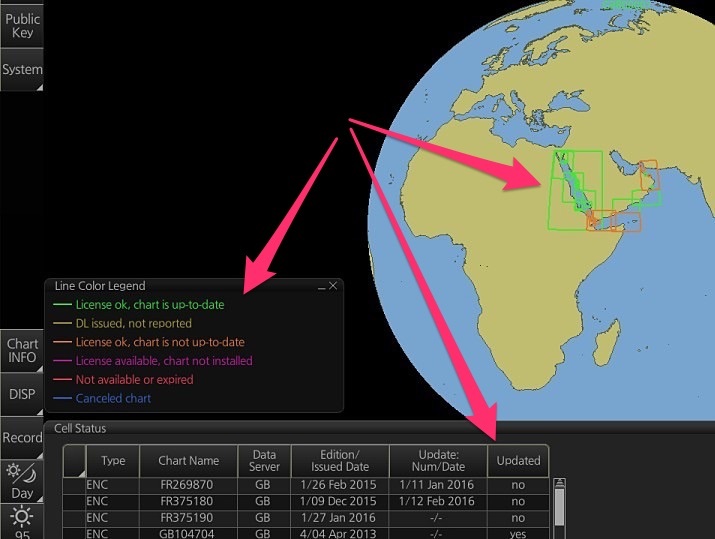 The status can be viewed as text and also by color coding in the displayed world map. If all the ENCs are up to date and are coloured green, that is good. If not we must follow the next steps to update the ENCs with all the valid corrections. Even if the ENCs are updated, it is recommended to follow the next steps. Now that ENCs are installed in the ECDIS, we need to apply the latest base cell DVD that ship has. To do that, insert the DVD into the DVD drive of the ECDIS. Click Auto-Load and choose the DVD location from DVD drive. 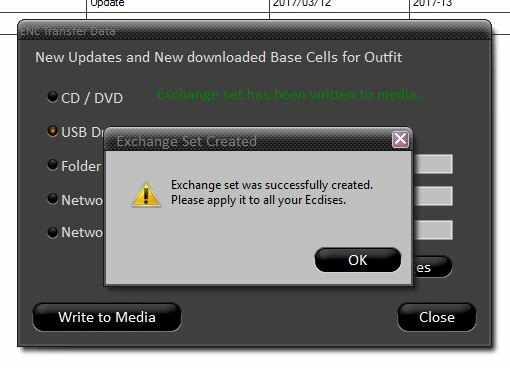 It will update the base cells of the new ENCs to the week of the DVD. The base DVD that we applied to the ECDIS also comes with the corrections. But usually the base DVD will not be of the latest week. For example the base DVD on board could be of week 06/2017 where as the latest week may be 17/2017. If any of the base cell has a new edition, a message will be displyed after importing permit into the Chartco (As per step 4). 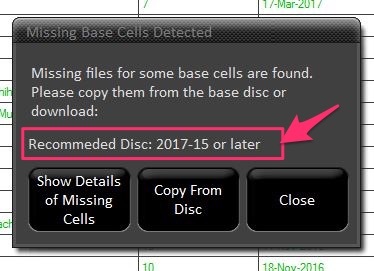 If you do not have the recommended disk, you need to download the base cells. I will come to that in a few minutes. Go to Home -> ENC -> choose “Corrections” option from the right menu bar. This will show you the pending corrections for the ENCs. 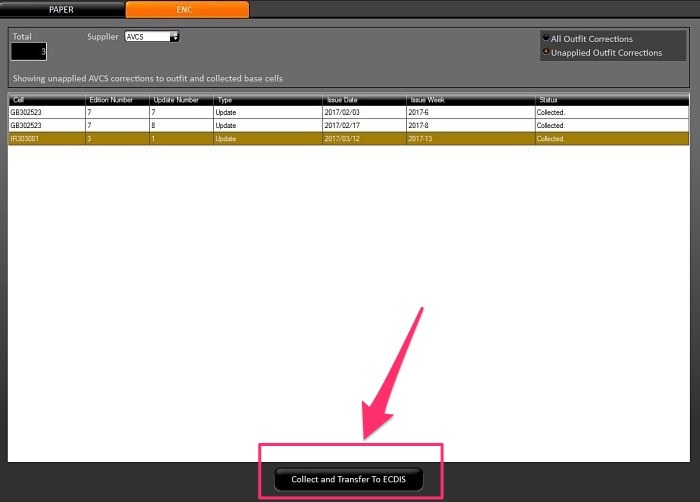 From the bottom of the screen, click “Collect and transfer to ECDIS”. Now if there are any ENCs that has new editions, it will show you a pop up for that. Once you click OK, it will take you to the notice area. This notice area will show you the detail of the ENCs for which new edition (new base cell) is released. Even when you click on “accept”, it will give you a warning pop up. When you click “Ok”, it will give you an option to download the base cells. If the chartco computer is connected to the internet, it will download the base cells right away. 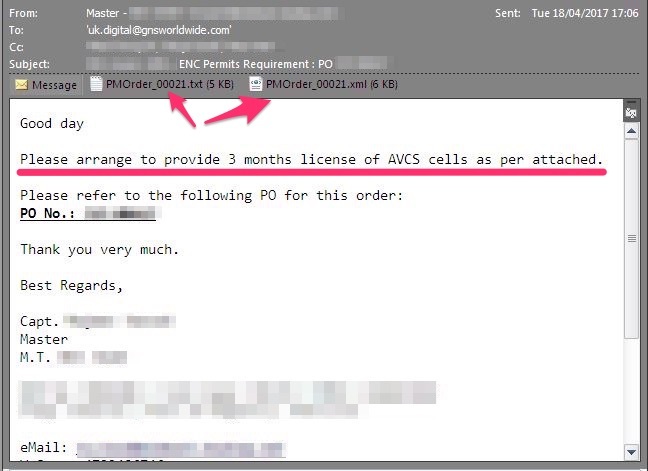 But if this process is through the email client like “Outlook”, clicking on download will send the request for base cells through email. For this make sure that before you click on “Download”, the email client (for example outlook) is open on chartco computer. In this case you need to wait for the email from the chartco server containing the requested base cells. Once you have received the email, click on the “check for new update” from the home screen of chartco. This will get the chartco to import the base cells from the email. Now you have the base cells and few corrections that need to be transferred to the ECDIS. 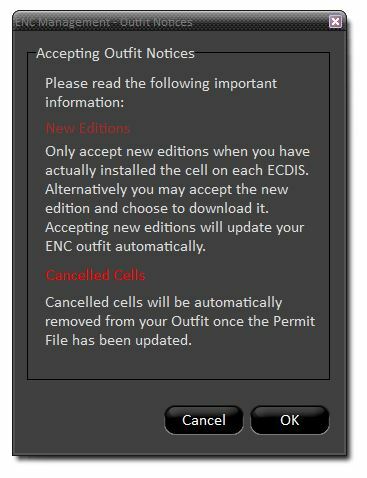 And since now you have downloaded the required ENCs base cells, you can again click on “Collect and transfer to ECDIS” from the corrections tab on chartco. Choose the location (USB drive) of saving these corrections and then click “Write to Media”. Once you have saved it to the USB drive, the corrections are ready to be applied to the ECDIS. We are now into the final step. 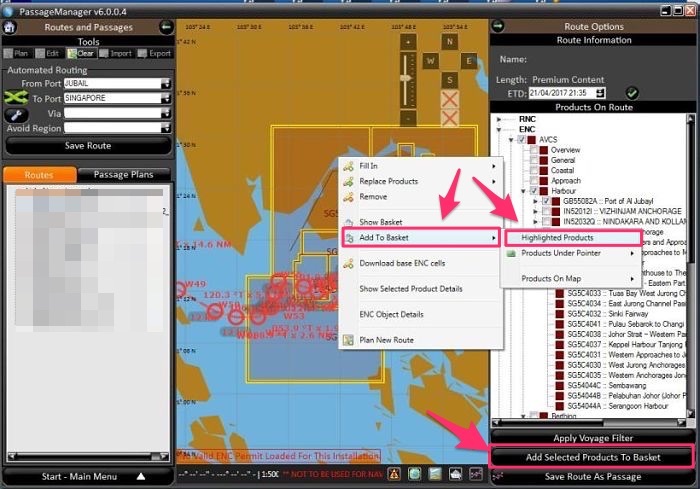 We need to apply the collected base cells and corrections to the ECDIS. 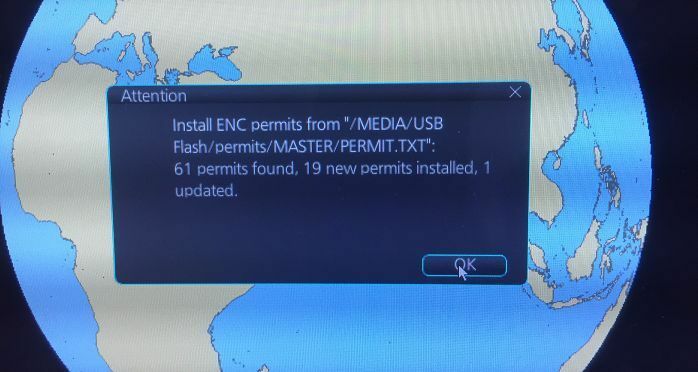 To do that, connect the USB drive to the ECDIS. Point it to the USB drive and then click OK. All the base cells and corrections in the USB will be applied to the ECDIS. I agree that getting new ENCs into the ECDIS and then correcting these should not be a tedious process. It should just happen in few clicks. As the technology is reaching on the ship, that would be reality soon. But till then we must know the exact procedure of receiving new ENCs and updating these to latest corrections. Jie, this post on Chartco with Furuno ECDIS. 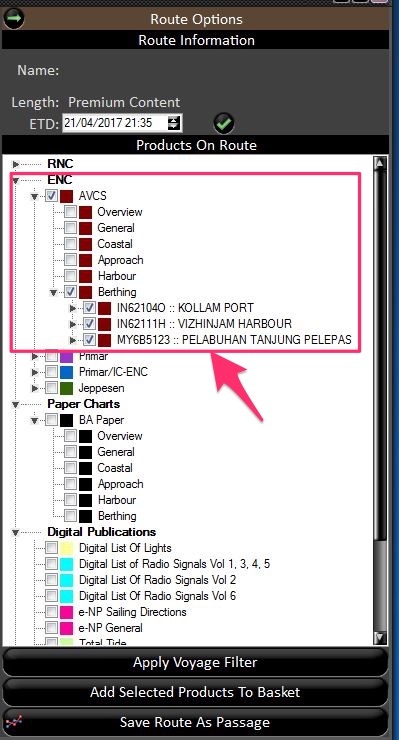 Looks like your ship has JRC ECDIS and C-Map for which this post will not be applicable. 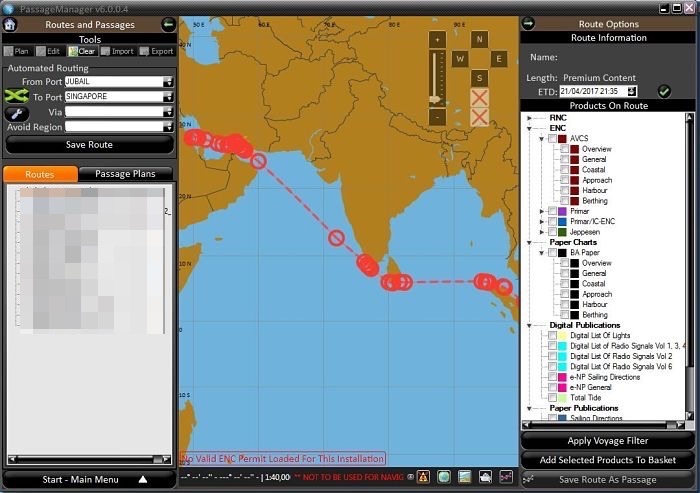 I will try to get my hands on MARIS ECDIS with MBA software.. Thank you Captain for your hard work and good explanations. Hope to see more. This is what seamen need, cooperation and learning easy to understand. Best wishes! Sir your blog is so informative that learned so much. In my case we have a Maris Ecdis installed onboard and Cmap provider, I appreciate very much if you can also discuss or send me an email regarding the step by step to ordering and correcting charts on Maris ECDIS. Sir, your article is marvelous. In the era where each equipment on bridge has a strange and hard-to-read manual, I find your guides extremely useful. Making such comprehensive guide must be difficult and time consuming, and so I am truly grateful that you took your time to share your vast knowledge with me and other seafarers. Best Regards. Dear Captain, this article is good, your explanation is very clear, i like it, so i excited to learn what is modern navigation equipment, i am radio officer before and finished joint on board ship 2001. Best/regards.